There are many bedroom design styles that can create peaceful rest sanctuaries that are not only functional and stylish, but comfortable as well. A comfortable and chic bedroom looks can be achieved by using a few simple tips on how to improve the functionality and grandeur of your room. 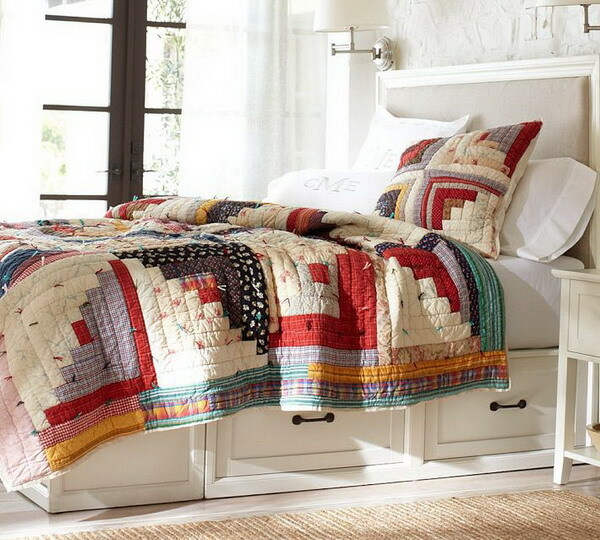 Beds with storage underneath are a great option to provide extra storage. Baskets can hide a bulk of the storage. 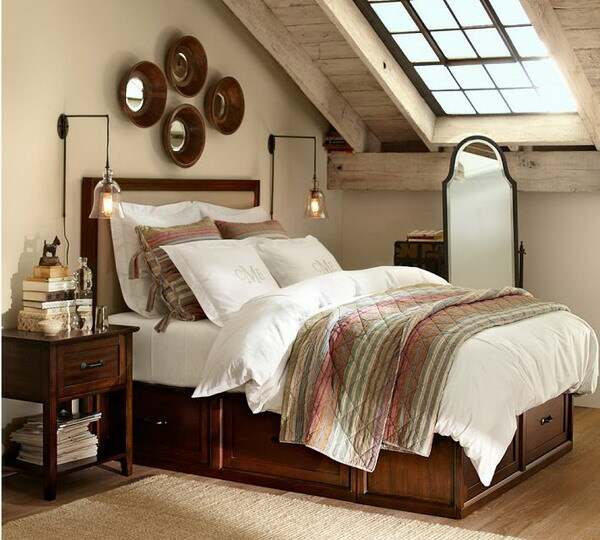 Wicker baskets are perfect – they add to the functionality of the simple and clean bedroom space. If storage underneath the bed is not enough, storage can also be created through built-ins on either side of the bed. Built-in replace bedside tables and offer a lot more storage options. Some of the beautiful bedroom design ideas featured in this post illustrate how to add warmth to a bedroom. Dark wooden features give the room a cozy feel that is accentuated more by the comforter with dark reds, greens and tans. Round mirrors keep to the theme, but give the room a modern twist. When looking to change up your space, maybe it is time to get rid of that boring old bedside table and opt for a more unique piece like an elegant mirror piece or a small circular table painted in white. The storage may not be that plentiful, but a fresh, elegant nightstand can really alter a space. An above-the-bed accent piece is another way to change up a bedroom. A well-placed picture, mirror, or figure can become the focal point of the room. The great thing about a duvet is the ability to switch out the duvet cover. Maybe your bed needs a makeover. 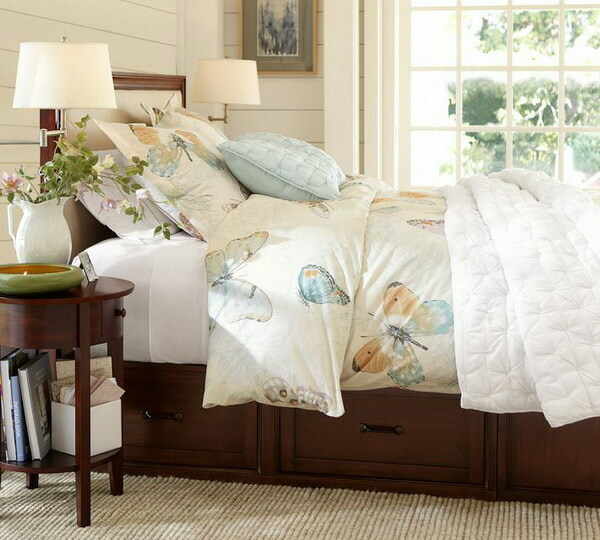 Try a dark brown tie-dye duvet cover or a duvet cover with a bright seascape print on it for example. 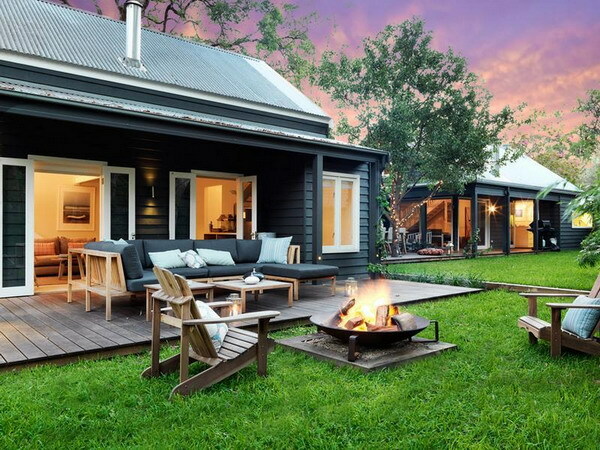 This change can also drastically improve a space. The beautiful bedroom designs shown in these pictures below will surely inspire you, and help you decorate your dream bedroom. Good luck!